IBM Corp beat Wall Street quarterly earnings estimates and also forecast 2019 profit above expectations on Tuesday, in the latest indication that Chief Executive Officer Ginni Rometty's efforts to turn around the technology services company were gaining traction. Shares rose 7 percent in extended trading after IBM also posted its first annual revenue growth since 2011. Rometty, who has been CEO since 2012, has steered the company toward faster-growing segments such as cloud, software and services and away from traditional hardware products, but not without a bumpy journey. The newer areas of focus have sometimes underwhelmed investors. Chief Financial Officer James Kavanaugh told Reuters that IBM signed roughly $16 billion worth of contracts in the quarter, its strongest by that measure in a long time. Underscoring the drive into higher-margin businesses, IBM in October agreed to buy software company Red Hat Inc for $34 billion, the company's biggest acquisition in its more than 100-year history. In a nod to investor concerns, Kavanaugh on a post-earnings call with analysts said client response to the Red Hat acquisition has been "overwhelmingly positive." IBM's cloud strategy has focused on helping companies stitch together multiple cloud platforms rather than compete head on with "hyperscale" cloud providers such as Amazon Web Services , Microsoft Azure and Alphabet Inc's Google. IBM's cloud business overall grew 12 percent to $19.2 billion in 2018. It is one area IBM has actively looked to build and part of its "Strategic Imperatives," which also include analytics, cybersecurity and artificial intelligence. The core cloud businesses performed "quite well" in the quarter and is consistent with an overall view that enterprises are increasingly moving into the full-scale cloud migration, MoffettNathanson analyst Lisa Ellis said. 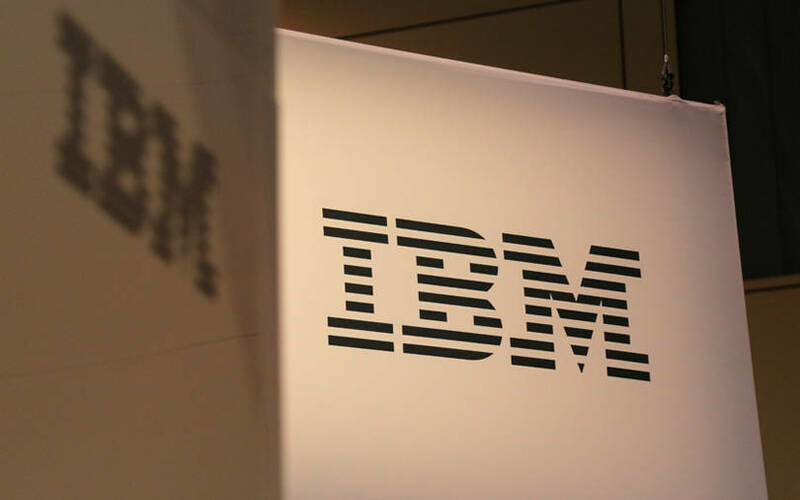 IBM said its gross profit margin, another closely monitored metric, expanded to 49.1 percent compared with 49 percent a year ago and it expects to build on that momentum in 2019. The company forecast adjusted operating earnings for 2019 to be "at least" $13.90 per share, while analysts on average were expecting $13.79, according to IBES data from Refinitiv. IBM projected 2019 free cash flow of about $12 billion, the same range it set for 2018, while Wall Street on average expects $12.67 billion. IBM said revenue slipped to $21.76 billion in the three months ended Dec. 31, but came in above analysts' average estimate of $21.71 billion. The strengthening of the dollar cost over $2 billion of revenue in 2018, Kavanaugh said. Armonk, New York-based IBM gets over 60 percent of its revenue from outside the United States. The company's cognitive software business, which houses artificial intelligence platform Watson, analytics and cybersecurity services, reported sales of $5.46 billion, compared with analysts' expectation of $5.25 billion. Excluding special items, the company earned $4.87 per share, above expectations of $4.82.